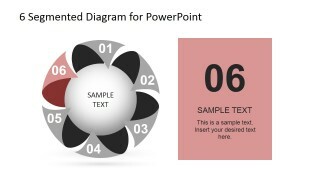 Propose your business plans and processes using this 6 steps Circular Segmented Diagram for PowerPoint template. 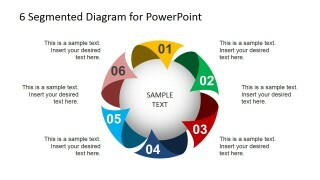 This six-step diagram design is suited for presentations dealing with processes that have six steps or segments. Each PowerPoint slide places emphasis on a particular step of the process, giving much convenience on the the presenter in discussing them elaborately. These PowerPoint shapes are easy to use and to understand for the convenience of the presenter, and at the same time, of the professional audience. In business contexts, it is common for an organization to define processes. From accounting cycles to simple corporate strategies, a visually attractive process diagram will always come in handy. 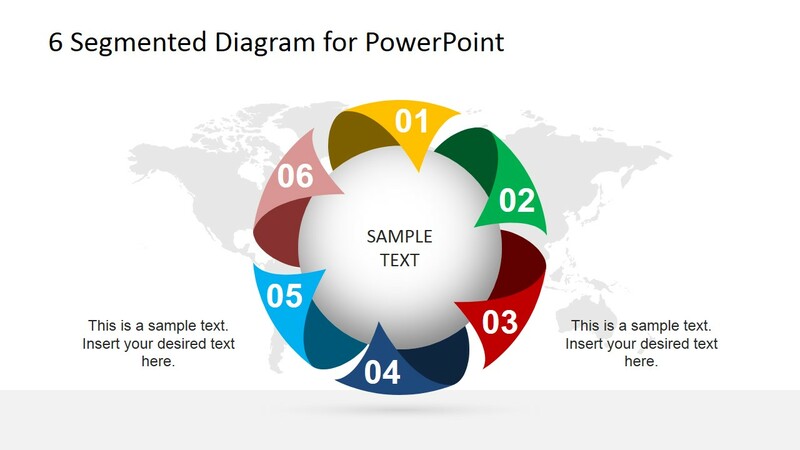 The presenter may describe these steps or segment creatively in PowerPoint. 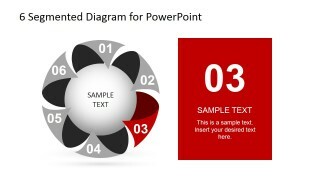 Using the 6-step business diagram, the business agenda will not be dull or monotonous anymore. 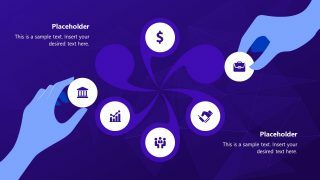 The attention of the audience will be focused on the screen and the information given by the reporter. 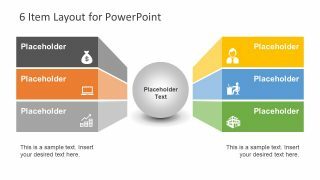 The presenter will have confidence knowing that he will have the full attention of the audience all throughout the business meeting. The process diagram may likewise be used for decision makers in discussing various processes involved in the company. 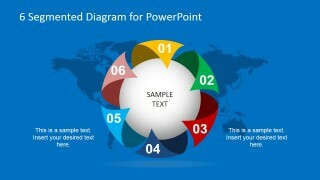 The PowerPoint objects used may help the presenter report facts and figures regarding the step by step sequence. 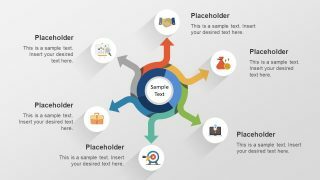 Also, it will be easy to identify what are the concerns that may be encountered during each step or segment. When every topic has been thoroughly discussed, correct and informed decisions will be made. 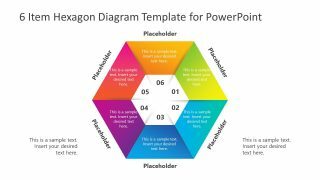 The PowerPoint icons in this template are 100% customizable that can accommodate explanations and notes that are necessary in business meetings. 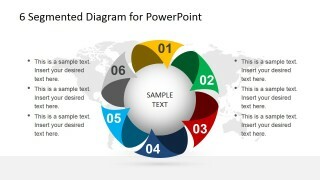 The vibrant colors used are also to distinguish the different stages of the process diagram. This is to avoid confusion on the part of the audience. Use this 6 Segmented Diagram PowerPoint template to ensure the full focus of the audience from beginning until the end.